1959 Topps #217 Carl Erskine (Los Angeles Dodgers) in nmt condition. 1958 Topps #417 Carl Furillo (Los Angeles Dodgers) in nmt condition. 1961 Topps #477 Nellie Fox MVP (Chicago White Sox) in nmt condition. 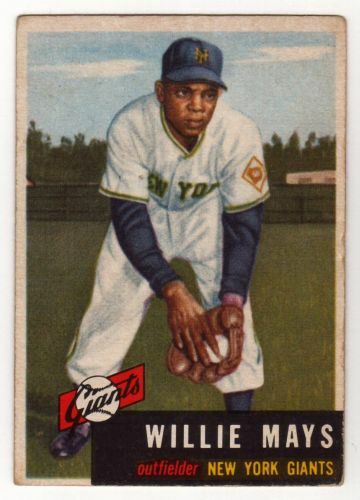 1961 Topps #98 Checklist Series 2 in nmt condition. 1962 Topps #43 Los Angeles Dodgers Team card in nmt condition. 1962 Topps #52 Roberto Clemente/Vada Pinson Batting Leaders in nmt condition. 1962 Topps #54 Willie Mays/Frank Robinson/Orlando Cepeda HR Leaders in nmt condition. 1962 Topps #312 Warren Spahn In Action (Milwaukee Braves) in nmt condition. 1964 Topps #8 Carl Yastrzemski/Al Kaline/Rich Rollins Batting Leaders in nmt condition. 1959 Topps #88 Herb Score (Cleveland Indians) in nmt condition.